During an interview this week, Stonebraker explained to me that Facebook has split its MySQL (s orcl) database into 4,000 shards in order to handle the site’s massive data volume, and is running 9,000 instances of memcached in order to keep up with the number of transactions the database must serve. I’m checking with Facebook to verify the accuracy of those numbers, but Facebook’s history with MySQL is no mystery. Facebook (or anyone else) need not necessarily rewrite their entire application to get the supposed benefits of VoltDB. MySQL (NDB) Cluster has been a scalable, partitioned, redundant, ACID, in-memory, hybrid SQL/NoSQL database for about a decade now. MySQL Cluster (AKA NDB) has some challenges though: joins, range scans, aggregates, and it is not supported in virtualized environments. But yes, it avoids a rewrite to VoltDB. Actually, the JOIN performance issues are largely fixed in ndb-7.2. In many cases 20-40x performance improvement over previous versions. And some cases a small NDB cluster even beats a single server instance of InnoDB. It does range scans, in fact Multi-range reads, http://www.clusterdb.com/mysql-cluster/mysql-cluster-multi-range-read-using-ndb-api/, aggregates I will give you… but it support in virtualized environments is possible now with better resilience against disk IO latency in ndb-7.1.10. Most of the problems you foresee are either completely quashed or are in the process of being. Recent changes to InnoDB/MySQL made by Oracle, MariaDB and Percona are pretty scalable too. Of course NDB continues to improve in leaps and bounds. That article is pretty flawed in many ways unfortunately and appears to be badly researched. Isn’t Stonebraker just saying that instead of making MySQL do what it was not originally intended to (and spend a lot of dev hours/$$$ doing so), a newer and use-case specific solution might be better? How dare you fail to misinterpret what he was saying! Interesting take on an unfamiliar Facebook’s MySQL deployment. Replication is one of the top features of MySQL for scale-out, redundancy and disaster recovery. Single instance or single image database performance is not enough. Reliability and high availability is important to running business critical applications, but seldom discussed. The best kept secret of a true relational database for over 28 years! Interesting… Mark If you required my help then do let me know. OMG that is funny. Is this _seriously_ an article about how MySQL doesn’t scale, and Facebbook… *facebook*…. 750Million users FB – is used as the evidence for that? Really?? I’d love to see the piss-ant, 500 users systems built by this clown where you charge a corporation several million dollars for “scalability”. I’ll just bet you he has done that. Oleg you are as bad as Stonebreaker. Any basis for your comment? Facebook had more than 4 DBA’s giving presentations at the MySQL Conference. Chris: Craigslist uses MySQL for their front-end stuff but they migrated their archiving system to a NoSQL solution. Conveniently this Stonebraker guy is selling a non-relational database. I think Stonebraker needs to put down the koolaid and realize that you use the right tool for the job at hand. It’s time for FB to reconsider how they do things completely but it surely is not the case for all but a handful of companies like Google, M$, etc. I concur, I realize that the world runs on ‘oldSQL’ and will continue to do so, I just thought it interesting because it seems that so many cling to the tool they know rather than the right one for the job regardless of who makes it. True. I’m really surprised how far relational databases can scale considering they were never designed to scale to the level that they are today. Granted they have been hacked to in many ways to scale, especially in the case of FB, but the basic principles are still intact. Looks like VoltDB is free and open-source. VoltDB is only free for development. If you want to use it in production, get ready to spend BIG bucks. VoltDB is available under two licenses. VoltDB Community is distributed under the GPL3 license; VoltDB Enterprise is distributed under a commercial license. You can use either version of the product for development, test and production deployments. If you choose to deploy your application using VoltDB Community, you can also optionally purchase a VoltDB support subscription (support is included with VoltDB Enterprise), although you can certainly run VoltDB Community based applications in production without a support subscription. The primary difference between the two products is management/monitoring consoles and related APIs – VoltDB Enterprise has them, VoltDB Community doesn’t. If you’d prefer to use your own runtime management tools (some users do prefer this approach), then you can run your production applications on VoltDB Community. I hope this helps to clarify what’s available in the different versions of VoltDB. I have to agree with Dennis. This was definitely an eye-catching article, but I spent the entire time looking at how Facebook’s fate is worst than death. This article said little in that regard. I agree with pretty much all the user’s comments before me. I’m open to a better solution, but frankly, I’m upset by this article since it’s minutes of my life I’ll never get back. Funniest thing I’ve read in sometime – keep up the epic satire! The way FB uses MySQL, they could replace it with any RDBMS and be just fine. Memcached is the shining star behind FB and it’s nothing more than a distributed memory-resident hashtable so I would say all the magic is in the app layer and that’s fine! postgresql actually scales much better than mysql, since it was designed to do so from the beginning – also since it was designed to be a full relational database through and through rather than emulate some aspects, it is able to be generally more efficient as a result. I’m really surprised it took this long in the comments to see someone mention postgresql. Yes, let’s keep everything in memory all the time, because we all know that memory costs nothing and is in infinite supply. I guess facebook just needs to copy everything to hash tables. no wonder it’s considered a “movement”. Thanks for all the comments. As I acknowledge in the post, Stonebraker certainly has a vested interest in companies moving away from “old SQL.” But it’s not like he’s alone in looking to improve DB speed. We saw companies, including Oracle, build and buy in-memory databases and data grids several years ago, then there was was NoSQL, and now there’s NewSQL. I don’t think Stonebraker actually thinks any large sites will migrate from SQL at this point, though, but rather that new applications should be built on new versions of SQL designed with the web in mind. The problem, of course, is that few if any are FOSS right now. Re: Facebook, I don’t think anyone doubts its MySQL prowess, but it’s possible the company has outgrown MySQL and it takes way too much brainpower and complexity to help MySQL keep up with traffic growth. Look at Google, which eventually had to retire MapReduce and GFS. Facebook has been using HBase for a lot of new projects. There are no ‘new versions of SQL’. There is either ACID-compliant storage (usually with SQL access) or eventually-convergent key-value storage (usually called noSQL). The ‘NewSQL’ touted here is a vaporware that claims abilities that are basically impossible according to information theory basics. This post makes claims about the efficiency of Facebook’s infrastructure but I see no response from them quoted. Did you attempt to get their view on these claims? This source seems to conflict with your article. Actually, Google uses BigTable for its most significant services: http://en.wikipedia.org/wiki/BigTable. BigTable is a proprietary database similar to some of the NoSQL offerings. Lookup CAP theorem. The SQL language favors Consistency and Partition tolerance, basically throwing Availability out the window. This is unacceptable for applications the size of Facebook, but Zuckerberg didn’t really consider this when he started writing the code. To make it scale, Facebook eventually had to implement their own sharding layer, which trades Consistency for Availability, but to do this you have to stop using joins (which basically makes it NOT a relational database anymore). I agree with the author in that I would hate to be the developer that has to keep all this stuff organized. Facebook is doing at the application level what COULD have been handed at the database level if they were built on a backend that was designed from the start for availability. The selection of “alternatives” was pretty bogus, but the essence of the article is mostly correct. MySQL can be made to scale. It scales well to a point then you partition/shard. This introduces challenges, largely maintenance, but it isn’t insurmountable like the article implies. The choice of NewSQL companies seemed odd: Xeround (cloud service), Clustrix (MySQL emulation not 100% compatible, doesn’t work with MySQL tools), GenieDB (a messaging layer for databases), VoltDB (also not MySQL compatible). You might consider ScaleDB which is a MySQL pluggable storage engine, meaning it works with existing MySQL apps AND MySQL tools, while delivering elasticity, scalability and high-availability. In fact, it makes MySQL work like Oracle RAC. I smell a little dislike for MySQL. Certainly there are challenges with the growth rate. I can’t help but think this is biased without real data to support the claim. I can’t imagine any database engine would be smooth sailing with the sheer volume of data that Facebook is pushing. Just my thoughts. So it is now against the law to dislike MySQl? When a database engine can’t even finish a simple single nested query on 20k rows but must be killed after nine minutes, while another database engine on the same machine gives me a result set in three quarters of a second, you damn right I dislike MySQL. For the right type of workload MySQL is stupid fast. For anything else it’s so over-rated as to be laughable. Mixed reactions as always to Stonebreaker’s vision, which is often clouded by the fact that he always thinks his latest product is better than all others for any reason. I like the ego, but it doesn’t serve the greater good in cases like this. If I update my LinkedIn recommendations, and it takes some of their servers a little longer to show my changes than others, is it really a big problem? No. And actually, in order to achieve complete consistency across a network of that size would require a huge investment in hardware, code and maintenance which eats away at the business’ bottom lines. Is that always necessary? No. Therefore, just using this one well known example, it’s easy to show there are in fact excellent reasons and use cases for CAP or eventual consistency, over ACID. Stonebreaker is correct, that many notable “web scale” players today are holding their systems together with chewing gum and bandaids, and will eventually need some level of rewrite… but to suggest that only an ACID database (like the one he’s selling) is the only solution, does not serve the market very well. In any case, developers are smart. If they need ACID, they’ll get it. If they need key-value lookups, they’ll do that. Many-to-many relationships (like Facebook and LinkedIn)? Graph databases might help solve those problems – or even run alongside another data store or component in a polyglot application architecture approach (which is also more common today). Anyway… Stonebreaker is a really REALLY smart technologist, but a bit egoistic in his own marketing, and definitely always thinks his baby is the most beautiful. I’ve worked as a DBA for some 25 years, starting out working on Unify, as data volumes grew we had to convert to Oracle. I spent 8 years at Sun Microsystem where I was exposed to MySQL. I’m currently a MySQL DBA for IBM and think MySQL is very scalable IF it is tuned properly. I think if you have performance issues, and exhausted all your options, then I’d look into the alternatives listed in the article. But remember, propriety code may not work good with Database Upgrades, and I have seen a lot of Applications break when an upgrade occurs. Oracle was on the ball when they bought all those middleware companies in the 90’s, oh and now they have MySQL. >> webscale applications or those that must handle excessive transaction volumes. Really? I guess Facebook, Craiglist, and Wikipedia aren’t webscale applications and must have low traffic. YouTube (pre-Google) also used MySQL (they still might). Lastly, I noticed GigaOm.com uses WordPress. And guess what database WordPress uses? MySQL. Facebook has a massive layer of Memcached servers that are used as an in-memory database, since the MySQL servers can’t take the read load of the live site. Facebook basically lives in memory chips. Also, for the inbox, the part that takes the bigger load, it uses HBase/Hadoop. The database is just a “safety vault”. Youtube (and the whole Google websites, with exception) work on top of Google Bigtable, something similar to a NoSQL database that’s built on top of GFS. Wikipedia is another heavy user of Memcached, since too many concurrent reads and writes would simply block the database. The database is just a “safety vault”. Twitter, another heavy MySQL user, uses a homegrown sharding server, but most reads happen on memcached. HBase and Hadoop are used for the search, just like Facebook. Again, the database is just a “safety vault”. 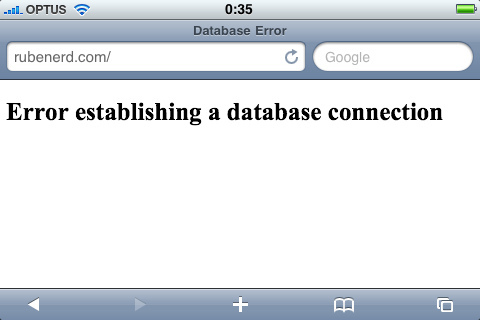 From your examples, one could say that it’s next to impossible to run a site having only MySQL as a backend. I don’t think people using a cache negates the argument that mysql scales. Obviously a cache will be used in addition to the db. I think many of you are right about him trying to sell something, but the same people who are right are so, so wrong in other ways. He’s dropping the Facebook bomb because it’s something everyone can relate to. The whole point of what he’s trying to say is that IT IS TOO LATE FOR FACEBOOK TO SWITCH. MySQL works for them because they have plenty of resources to make it so. The exact thing he’s describing happened to my company. A lot of enterprise software nowadays isn’t provided as a web service by the software vendor–you buy the product and install it in-house on your own server’s instance of the DBMS it was written for. What, you’re going to give a start-up all of your data to handle on their servers? Yeah, OK. Anyway, we chose MySQL. As a start-up, you expect that your software might have a thousand end-users, maybe two tops, and MySQL is a perfect choice. You can’t just sell your product for crazy amounts out of the gate, so you want a DBMS that is easy to install and manage on the customer side, and more importantly, easy to code for on the dev side. MySQL is extremely well-documented; it’s not at all a black box. Being community-supported to a large extent is ideal for start-ups. When you distribute your software, and it actually catches-on, soon enough larger business want to use it. Now you have to support 20-100k end-users per installation, out of the box, in order to work your way into larger accounts and sales. If you started with MySQL, you’re kinda screwed until you rewrite a lot of code. DBMS isn’t easy to just switch when you have hundreds of customers each with their own installation. It’s practically impossible. We had to do our best with what we had and optimize the crap out of it, like Facebook is doing, but obviously to a much lesser extent. And once you rewrite, you have to keep supporting the legacy systems, or it pisses people off. It costs money to continue maintaining old code and support teams to keep existing installations limping along. If you don’t, then you instantly alienate the customers that created extra demand in the first place, as well as the ones who don’t necessarily need the extra scalability. It just costs a lot of money to start over with a new approach. The bottom line is that he’s completely right in at least one aspect (the most important one for this topic): if you aren’t scalable to start, you have to basically make a next-generation version of your product from scratch which actually uses a highly-scalable DBMS. The problem is that there isn’t as much demand for that, so there’s more risk to investing in it. This is a big reason why enterprises are stuck with slow/unstable software unless they hire a bunch of DBA’s to take their database systems seriously. You’d be surprised how many companies just have one or two MySQL or MSSQL instances to work with, and not more than one DBA designated to managing them. Otherwise, they’d have the IT wherewithal and budget to write basically your product in-house from the ground-up with their expected load in-mind from the start. There’s not a lot of middle-ground in IT today–either your business model is data-heavy and you already have the ability to write the software with the right DBMS you need/already have, or your electronic data and IT needs are growing and scalability needs to be built-in. I hope I made it a little bit clearer why starting scalable would be amazing for start-ups. It’s just not realistic at all right now because of cost–that’s where academia comes in. Lowering the entry barriers of running ridiculously-sized databases would eliminate so many problems in getting applications started that it would seriously make the world a much better place for software/IT innovation, not just for Facebook. They’re totally invested with MySQL, and hey, they can actually make it work for them. More power to em. Huh? If it was widely accepted that MySQL wasn’t built for web applications, then why do so many startups keep using it? They couldn’t all be stupid, right? In addition to Facebook, Craigslist, Wikipedia, and TicketMaster use MySQL. And those are not low traffic, nor low transaction sites. YouTube (pre-Google) also used MySQL (and maybe they still do). By the way, I noticed GigaOm.com uses WordPress. Guess what database WordPress uses? MySQL. So either (1) GigaOm is a using a crap database or (2) MySQL is probably a pretty good solution for the web. It’s the latter. It would be difficult for me to imagine a database so huge that it’s truly beyond SQL-type databases. Walmart and the federal government have enormous databases and often use SQL based relational databases; I’ve thrown huge data pulls at Oracle, MySql, Sybase, etc, and if the queries are well programmed and the dba’s have it set up well there’s usually no long waits, bottlenecks, or crashes. I recommend that you use GeneXus for the migration. What if the combined size of MySQL databases in Facebook was 100TB? Would you run 1 Oracle database on that data? Google utilizes 4000 servers for Google map. So what? They are not running a small mom ‘n pop shop. I believe FB has 4 DBAs, I know 1000 shops that have more Oracle DBAs. What if FB DBAs hate managing/administering appliances (Clustrix) and Java (VoltDB)? Xeround is a cloud database, why does it even get mentioned in this context is fascinating. At FB’s scale, extreme familiarity with software systems that are critical to business is required. If there is a bug or a workaround, their personnel need to find and fix it ASAP. Or is VoltDB without bugs? VoltDB has nothing unique, there was a failed start-up “ANTs software” that got digested into 4Js and Sybase, which boasted of a non-blocking database engine 10 years ago. So what is new: Many people claim that Ingres was better than Oracle in the 80s and early 90s, but who is the market leader today? All in all it sounds like someone (MySQL hater) is looking for attention. This guy clearly has no idea how Facebook uses MySQL. Watch any of the presentations that Facebook has given at QCon and you’ll quickly see they are far more sophisticated than Stonebraker gives them credit for. who cares how exactly Facebook is using MySQL. His point is valid one. We’ve been using stonge age technology to solve problems that didn’t exist 30 years ago. A new approach is long overdue, and NoSQL or Hadoop ain’t it either. I hear Facebook is still using transistors! Those idiots should upgrade from that ancient tech to light-based computing. What Dennis said. Why is it that when a fringe case comes up, and sites like Facebook are fringe cases in terms of software development, it negates the use of things people have been using for decades? I’ve yet to work on a project that was too big for SQL, and I probably never will. Most of us never will. And I’ve worked on some pretty big stuff (like parts of MSDN on a “little” site like microsoft.com). One of the problems with self-labeled computer science people is that they tend to want to solve all kinds of problems before they’re problems. That’s a waste of time, especially for the business signing your checks. That the “noSQL” movement is often referred to as a movement should tell you something. The objective of business is not usually to start a religion or social upheaval, it’s to make money by solving problems. While I understand what you are saying, in the datawarehousing world, it is not uncommon to come across data sets that are too large for relational databases like oracle and sql server to handle. I know of several current examples where sql server and even oracle were unable to scale up to handle the load. That’s why companies like terradata exist (still relational, but different semantics). Of course, that also makes the case against the in memory part :). …has a PhD in Computer Information and Control Engineering from the University of Michigan. …received the IEEE John von Neumann Medal and the first SIGMOD Edgar F. Codd Innovations Award; was inducted as a Fellow of the Association for Computing Machinery; and was elected a member of the National Academy of Engineering. …was a Professor of Computer Science at University of California, Berkeley, for twenty-nine years. He is currently an adjunct professor at MIT. Of course, none of that means that he’s right in this case, or means that the whole thing isn’t self-serving. All his accomplishments make it all the more disappointing if he is just trying to get attention for his own products. He’s made real contributions to the field. With his background, why not either keep contributing, teach (which is also a real contribution), or just rest on your laurels? Perhaps, contribution is not fiscally rewarding and many academics come to realize this eventually. Why should all the morons get the rewards? Are you saying that someone with a PhD and an academic should not also be able to get financially rewarded? I don’t see why an academic doesn’t deserve a share of the fiscal pie while CEO’s steal all the money based off other people’s creations. I say screw the CEO’s and go academics. Welcome to the world created by greedy business that likes to steal everything and pretend to have created it. Stop blaming academia and start blaming gold-digging moron CEOs. So Facebook should just throw everything in the bit and start again. Just like the Bolsheviks in 1917. Maybe not… I hear Fusion-io aren’t doing that bad as a result. Nothing more than an advertisement disguised as an article. I agree its just an ad in disguise. And the more we comment the better the advert runs, quite ingenius! Well done. It is tough to accept Stonebraker as much more than a successful troll at this point. He makes outlandishly unsubstantiated claims about systems that he has no stated inside knowledge on, all to garner attention for his own products. If he actually could point to some failure on the part of Facebook (performance, keeping up with growth, etc), perhaps there would be some footing for his observations, but as is they seem baseless and a bit ridiculous. Facebook’s implementation of MySql is “a fate worse than death”? OldSQL is “good for nothing”? How does this clown have any credibility at all with ridiculous statements like that? Is it just me, or does Facebook seem to be doing OK? Sure, they may have to rework some aspects of their current implementation, but in the mean time, they’re freaking taking over the world. Somewhat less than a fate worse than death, I’d say. Yea – he really sounds like the kind of type that would need to do that. Its just a product. Its no becoming to freak out when your pet product gets ripped. Even MySQL’s founder opening acknowledges its shortcomings. 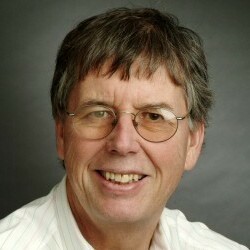 Stonebraker is a well respected legend, and has made incredible contributions to the database field. However over the past couple of years his attention-seeking rhetoric has simply gotten out of hand. And it only seems to be getting worse. He wants some attention for his various contenders-to-the-throne, and it seems like only absurd hysterics will get it now. No thanks. It’s “glory days” syndrome (cue Springsteen song) and it seems particularly acute among database pioneers like Stonebraker and Starkey. These are people who really did make great contributions Back In The Day, they remember what it felt like, and when they see those contributions becoming less relevant they become absolutely *desperate* to recapture that feeling. Some of them still have the chops to do it with technology, or at least hire others to do it for them. Failing that, they resort to shameless pimping of their latest brain-farts along with bashing everything that might keep it irrelevant. Sad, really.